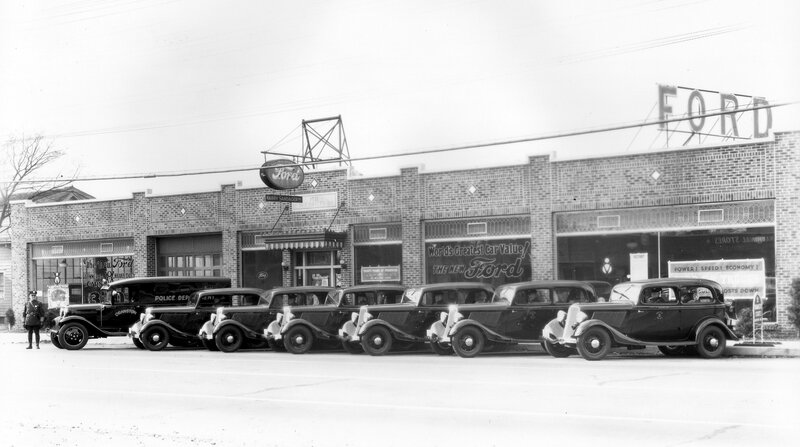 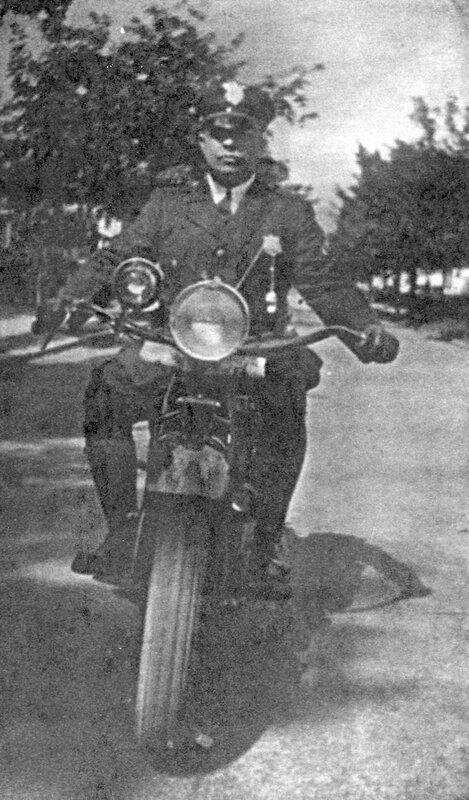 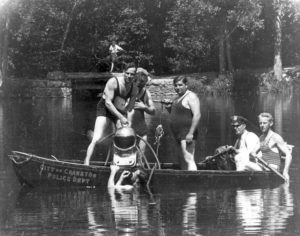 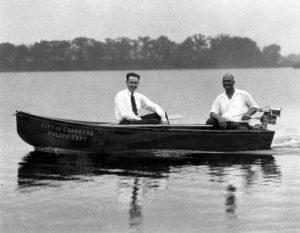 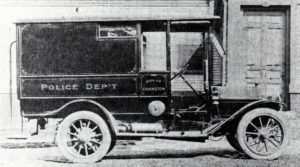 Note the bell on the side. 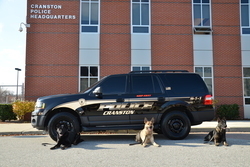 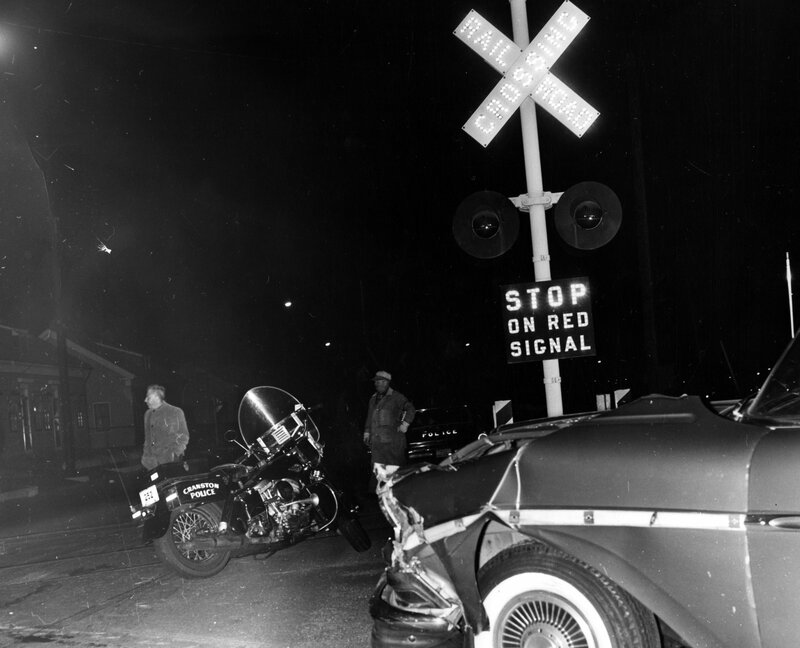 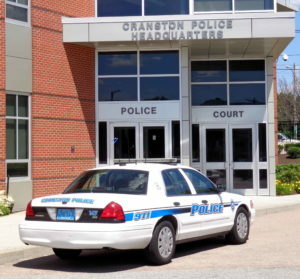 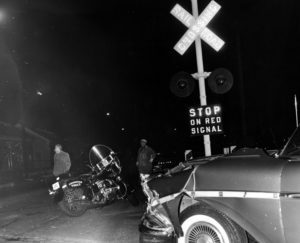 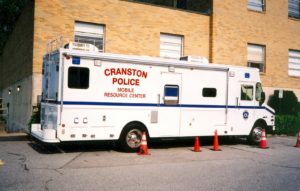 Cranston St. at Gansett Ave.
Dyer Ave at RR crossing. 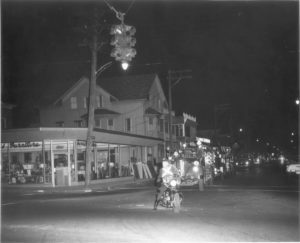 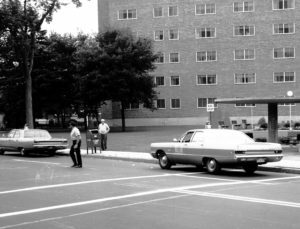 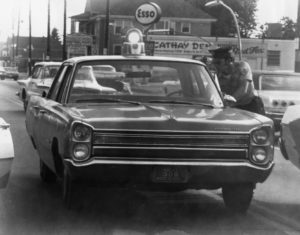 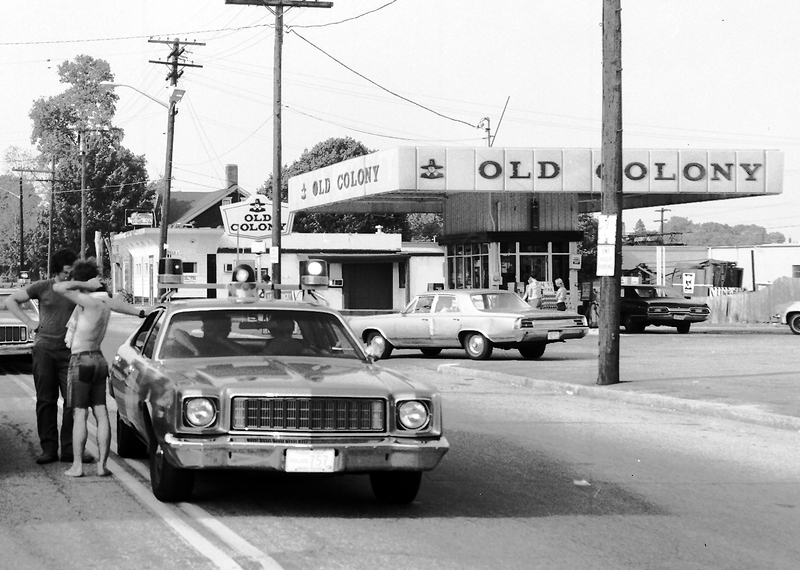 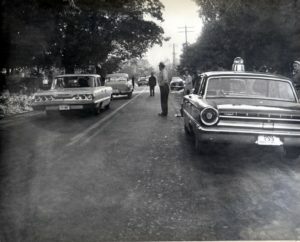 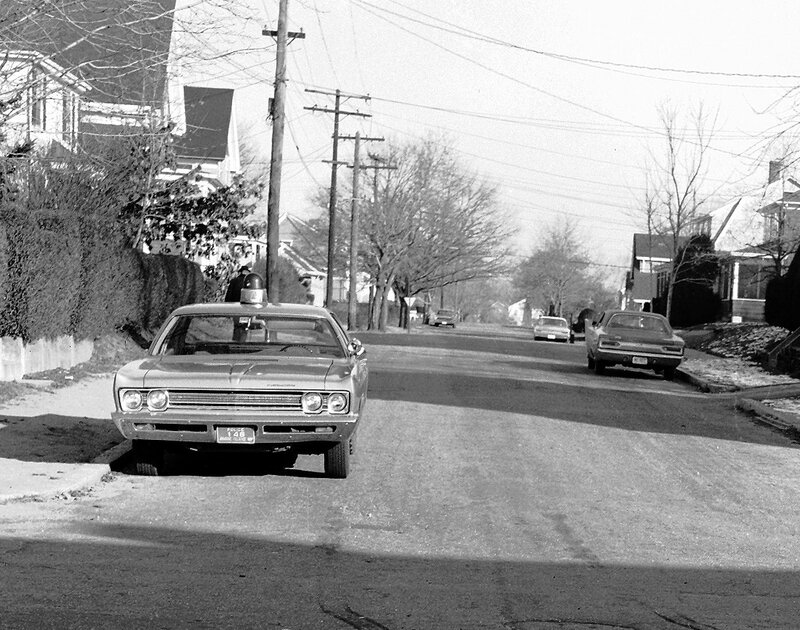 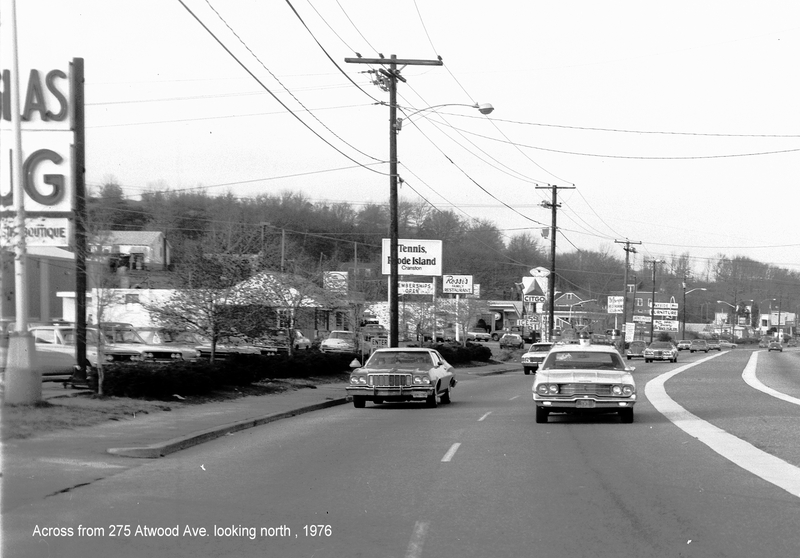 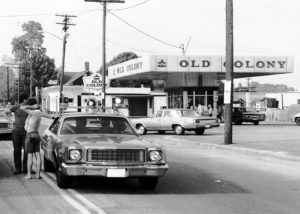 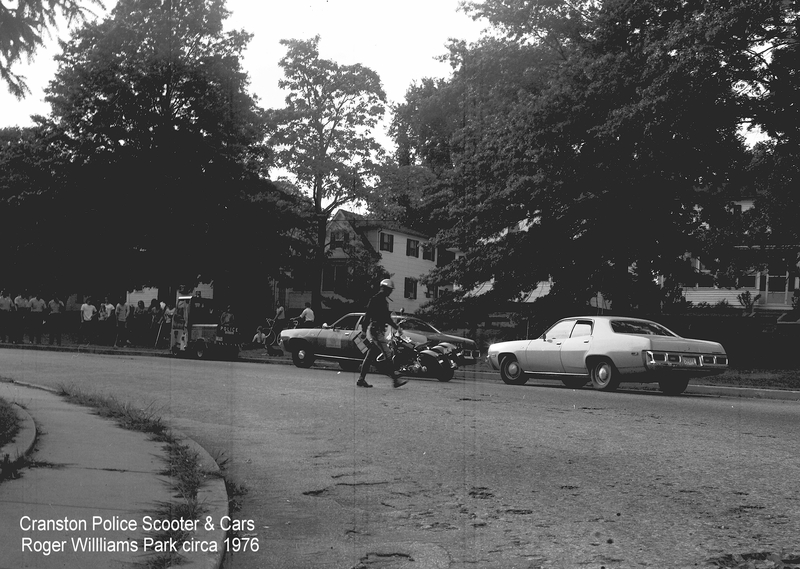 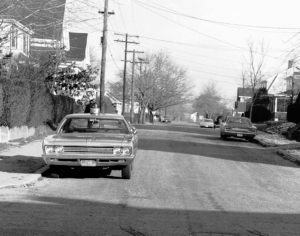 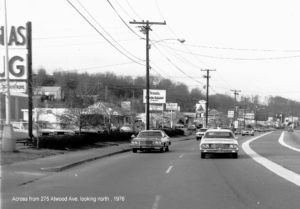 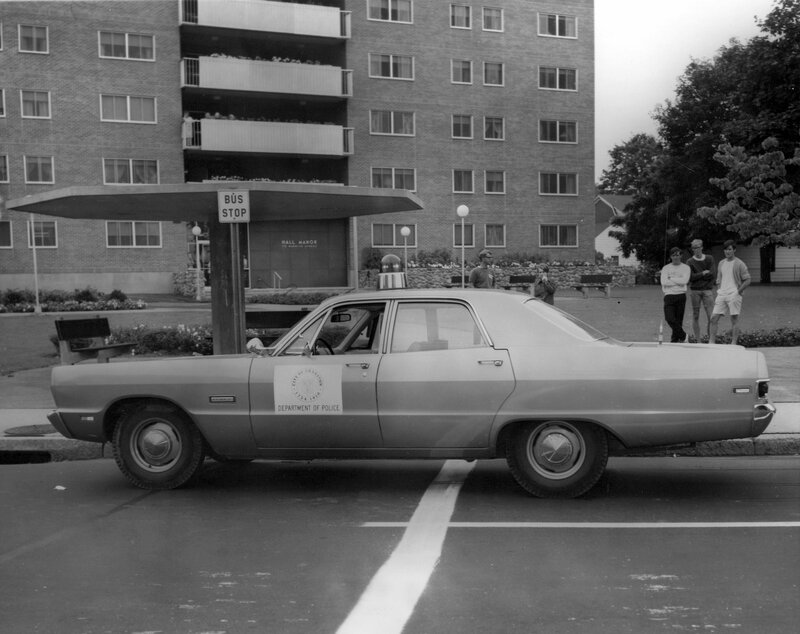 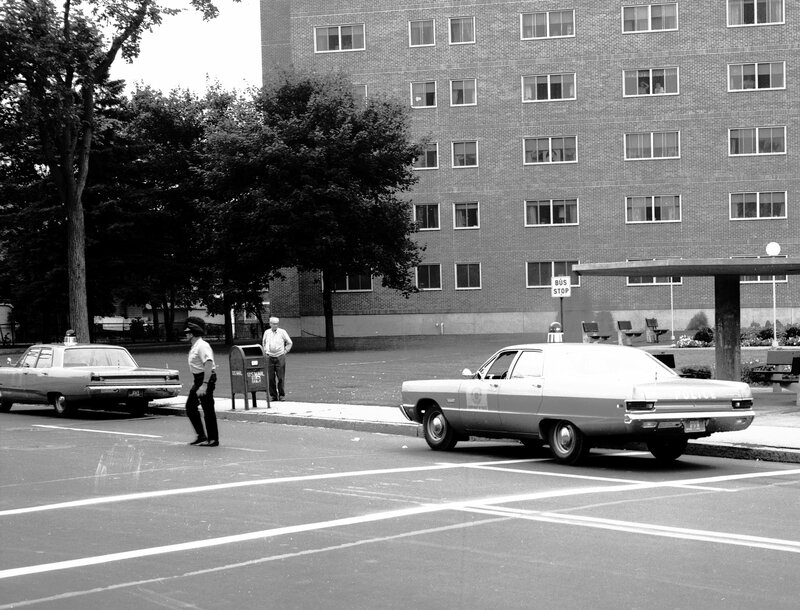 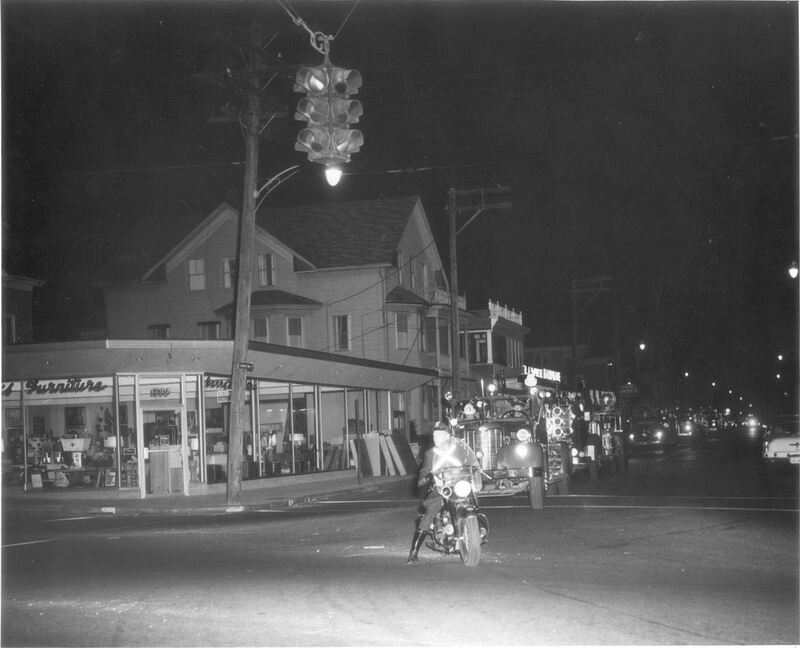 1969 Plymouth off Pond Street. 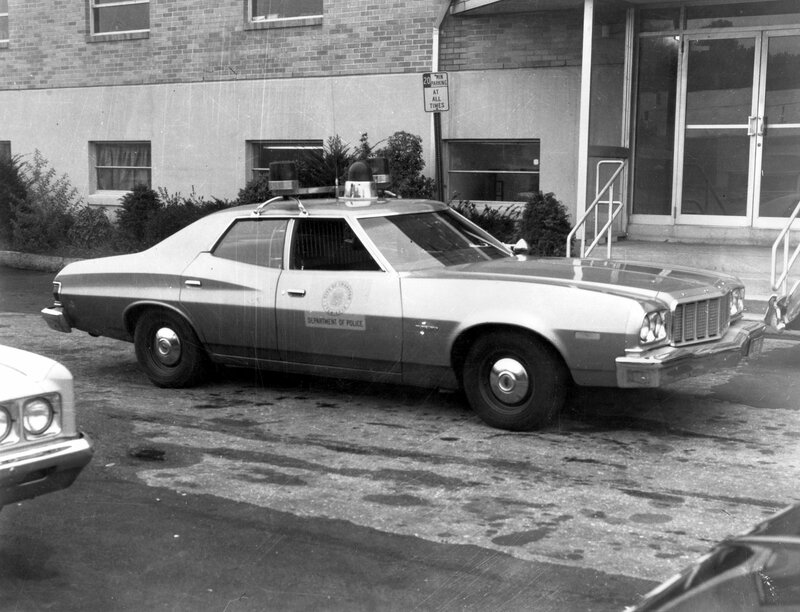 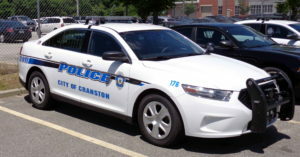 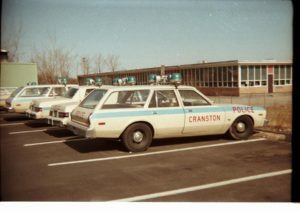 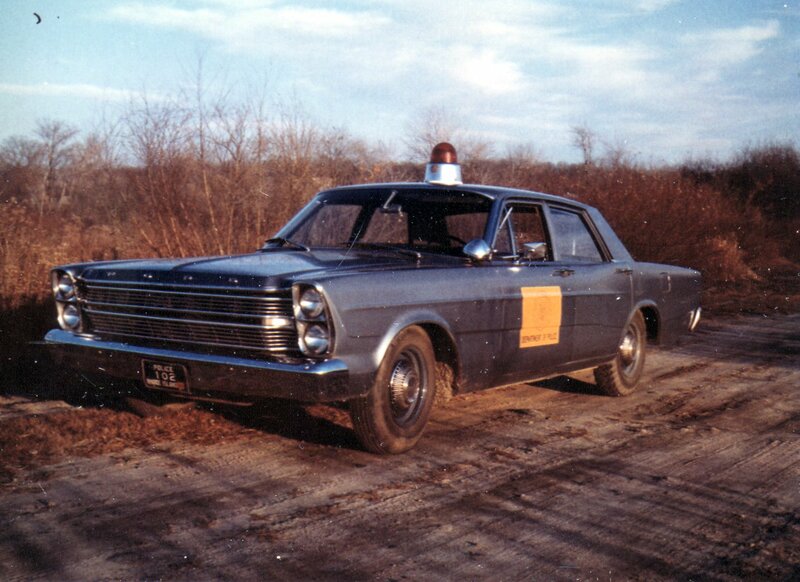 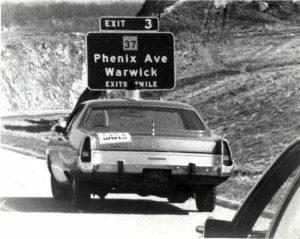 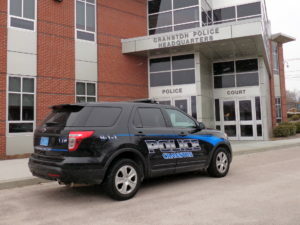 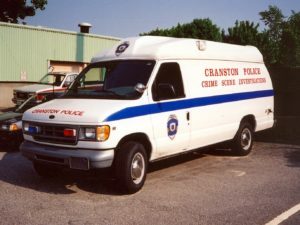 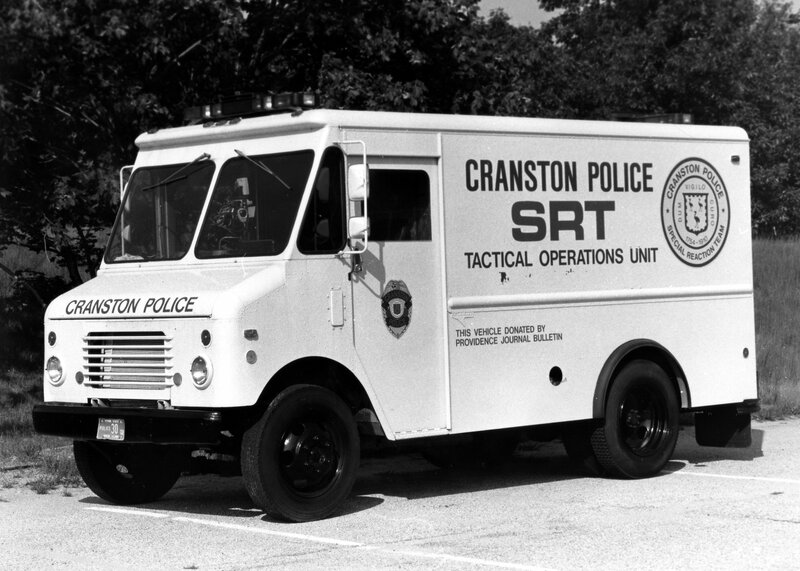 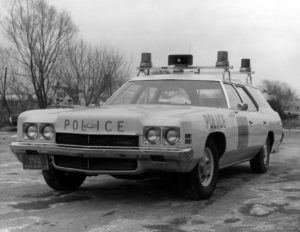 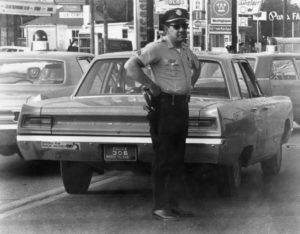 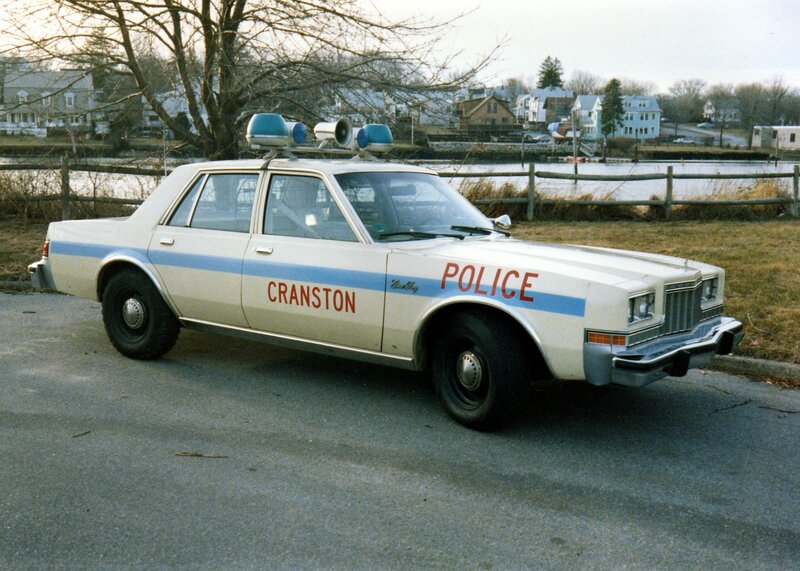 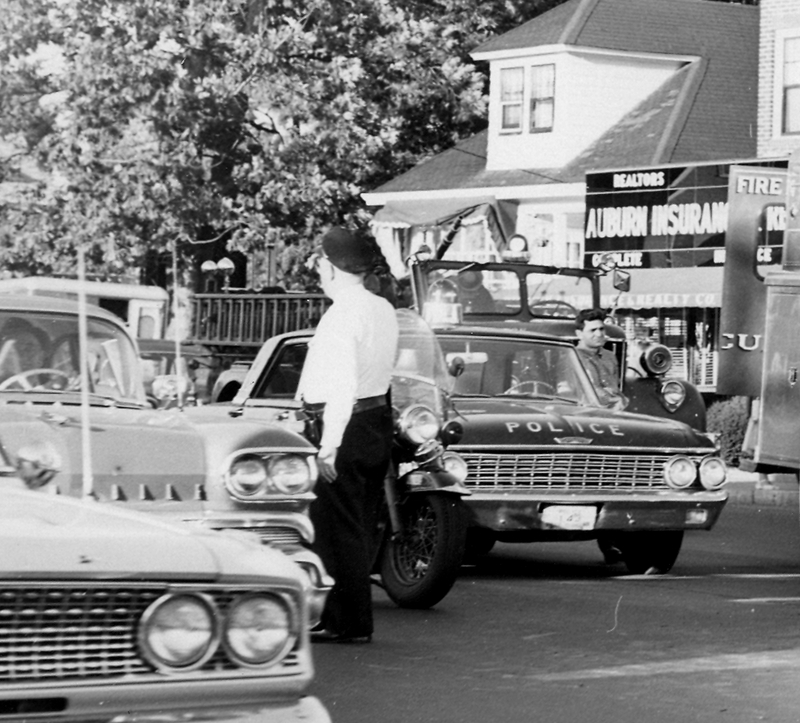 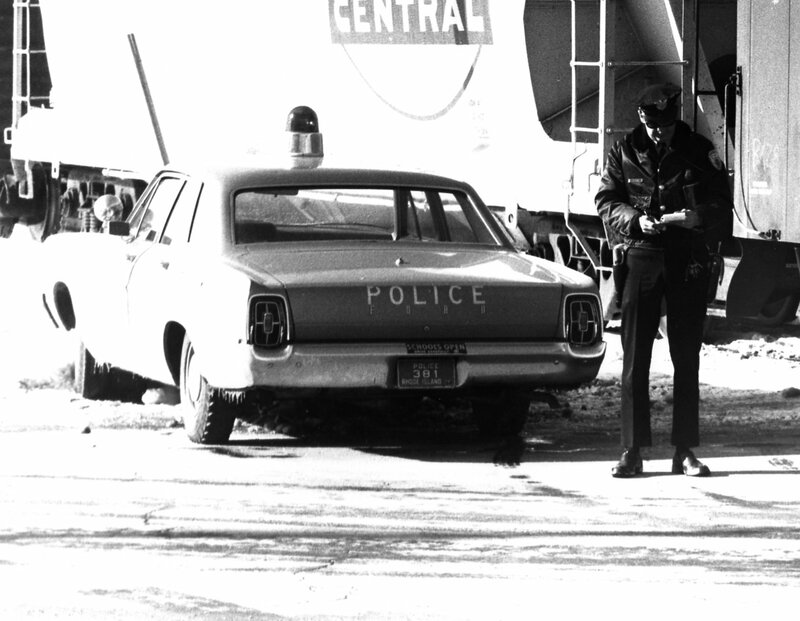 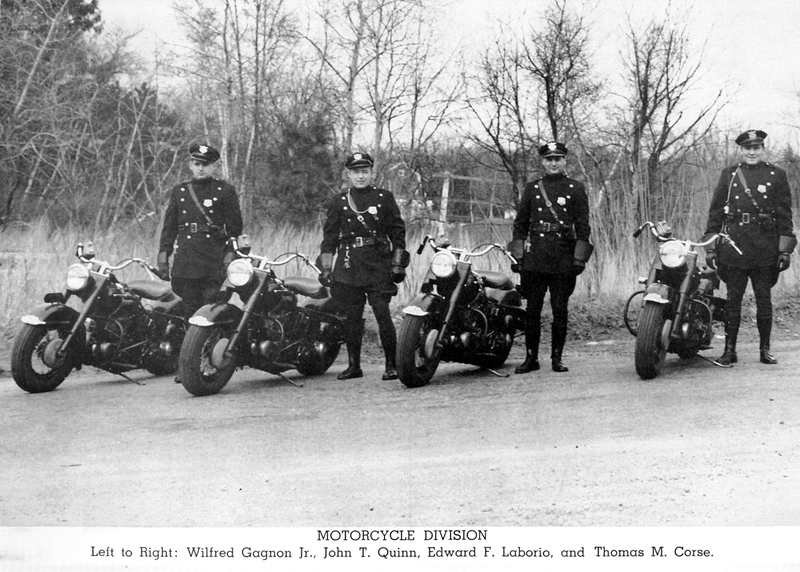 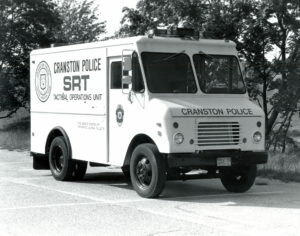 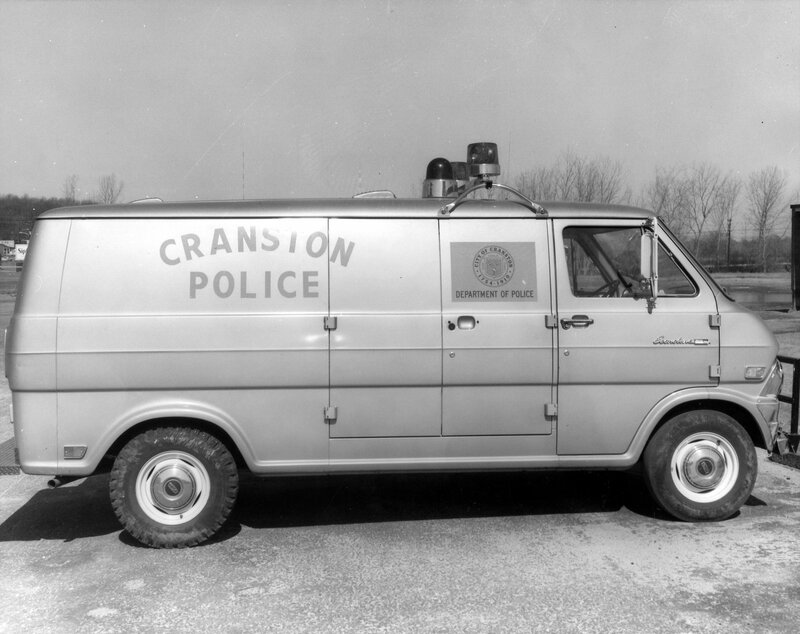 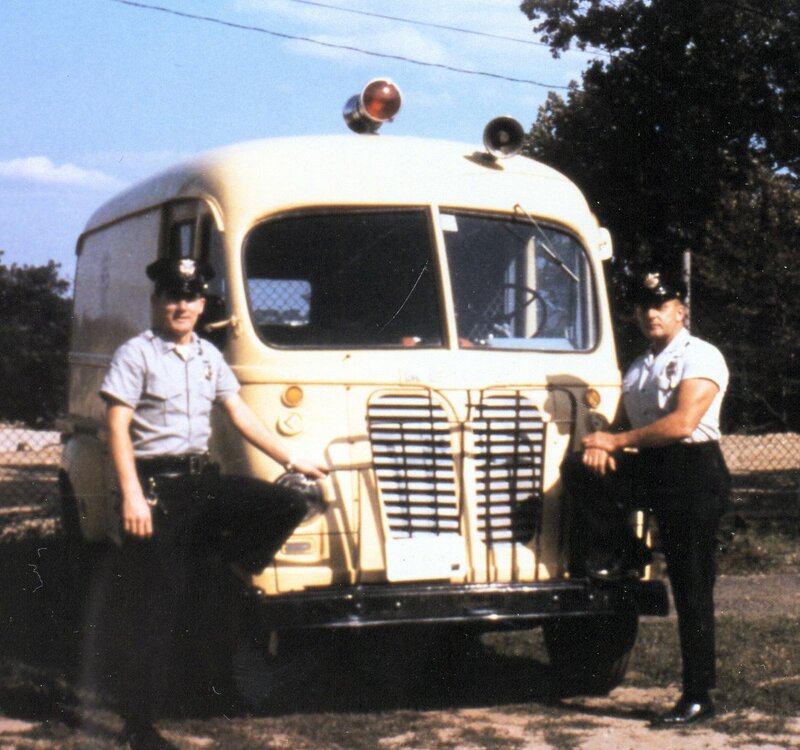 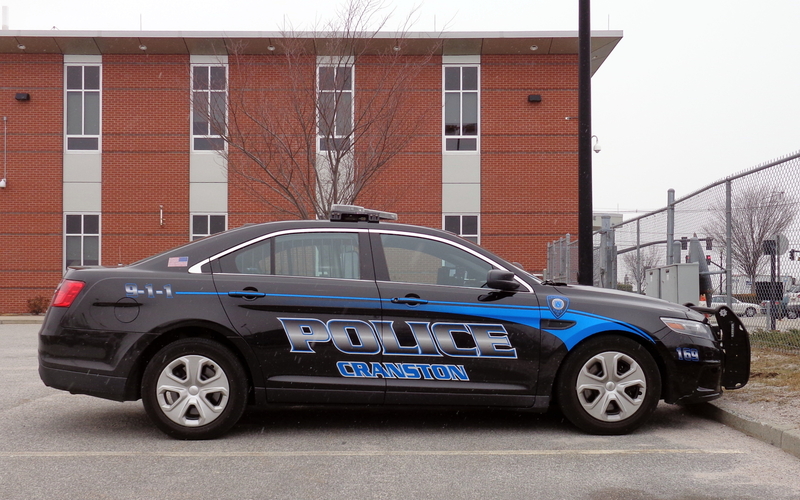 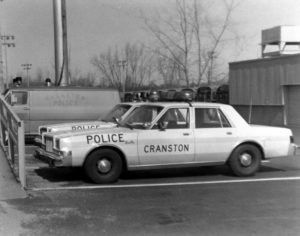 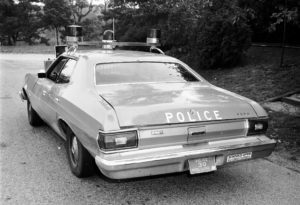 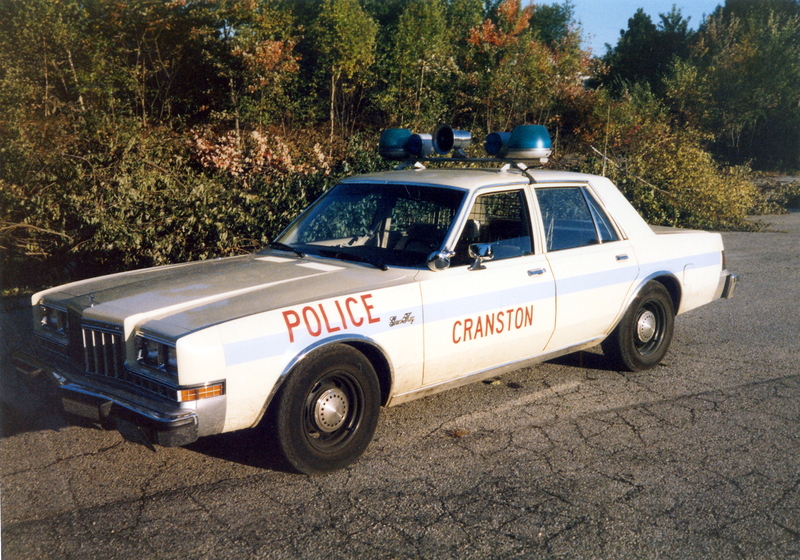 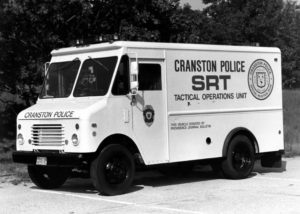 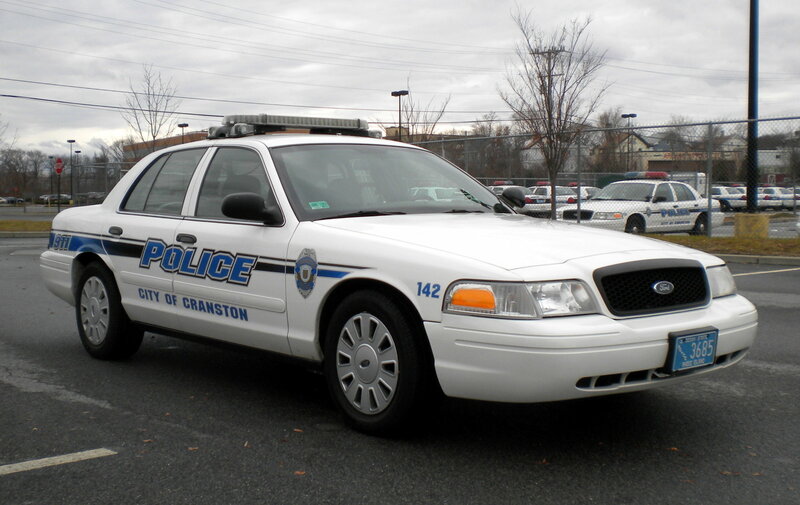 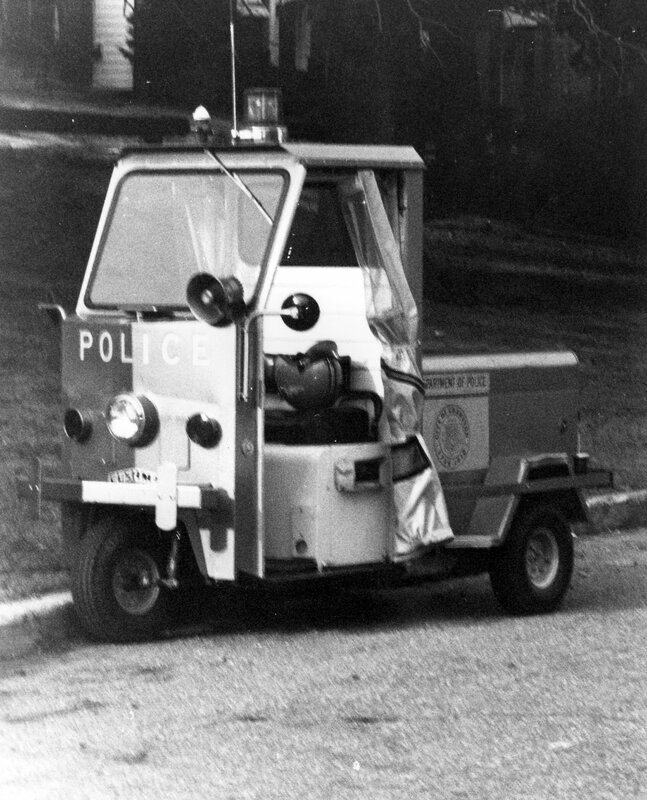 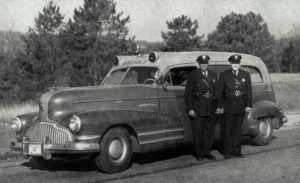 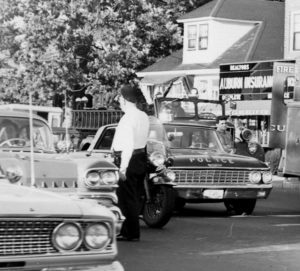 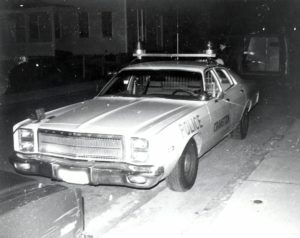 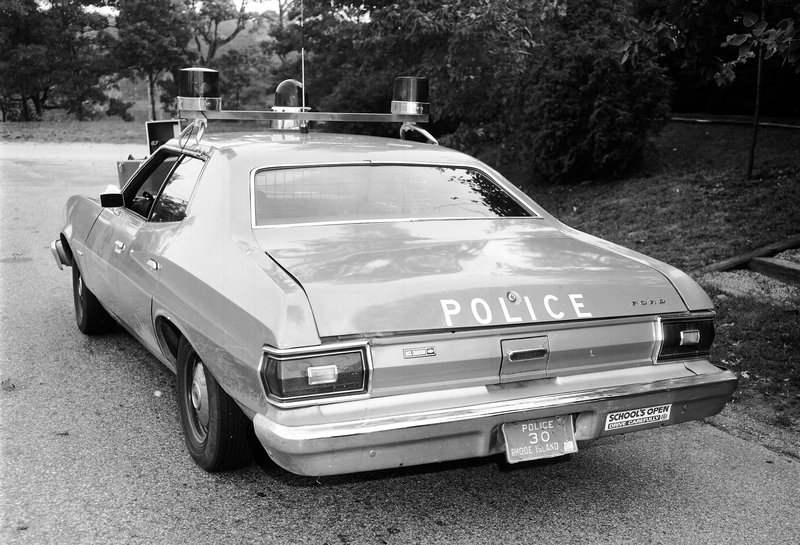 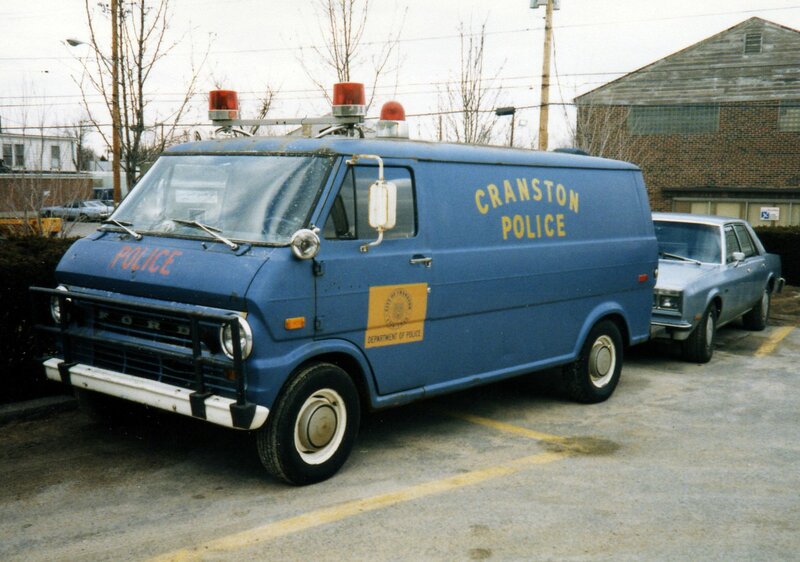 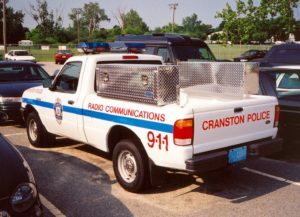 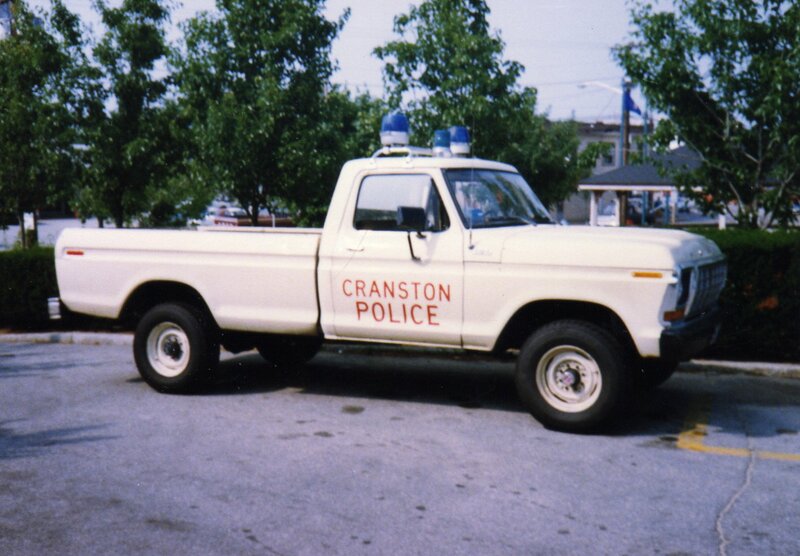 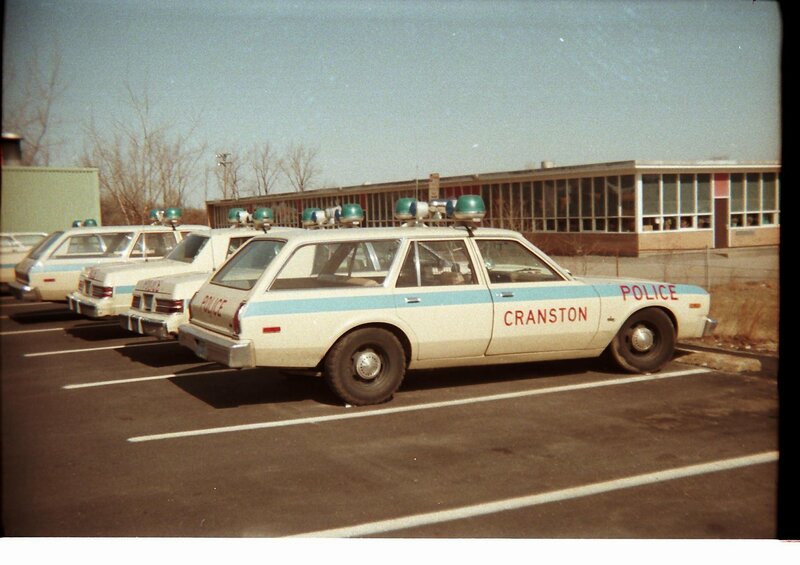 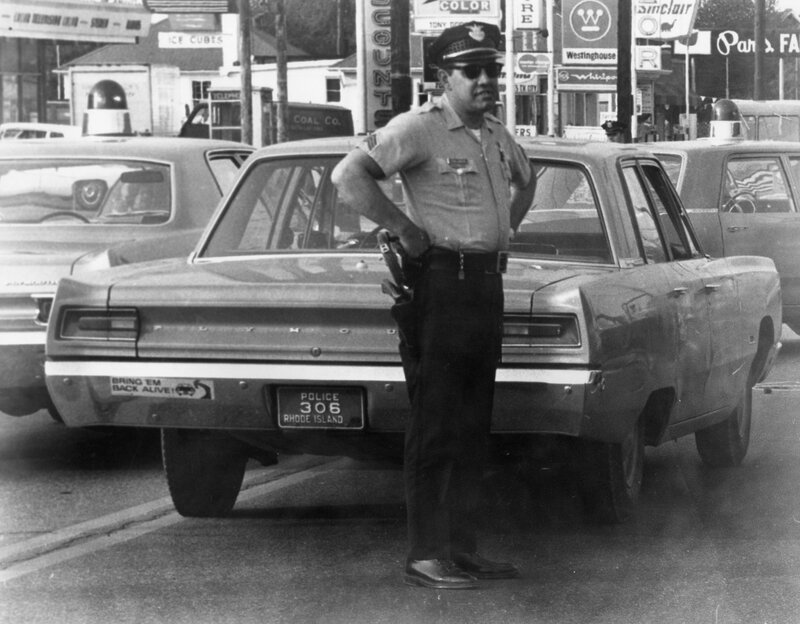 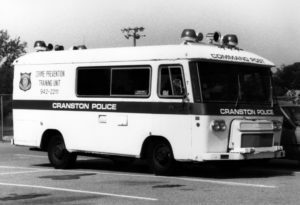 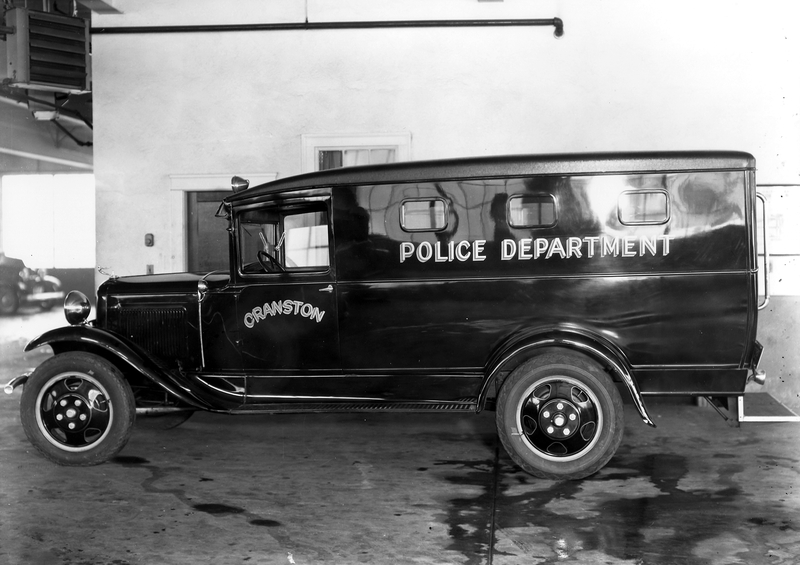 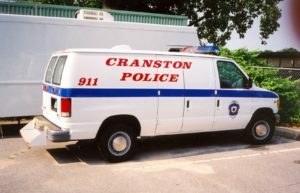 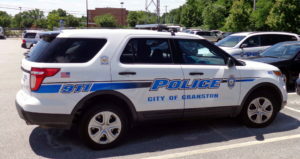 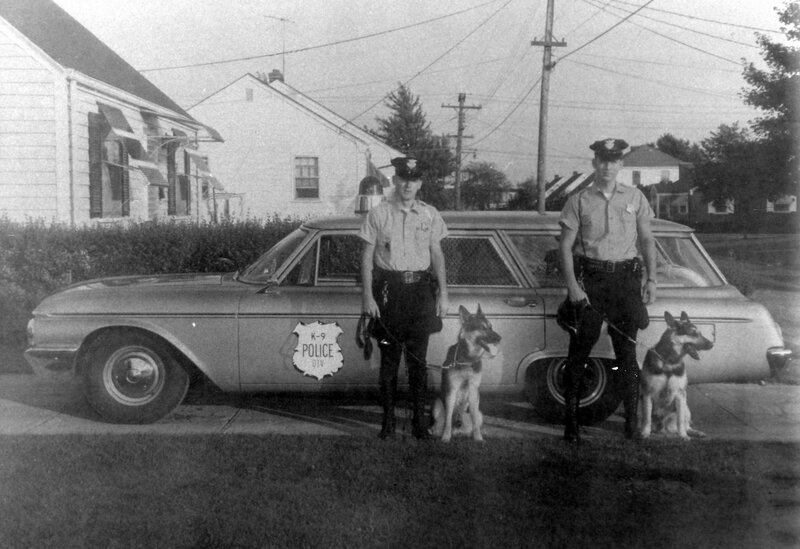 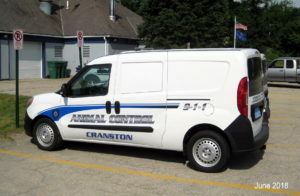 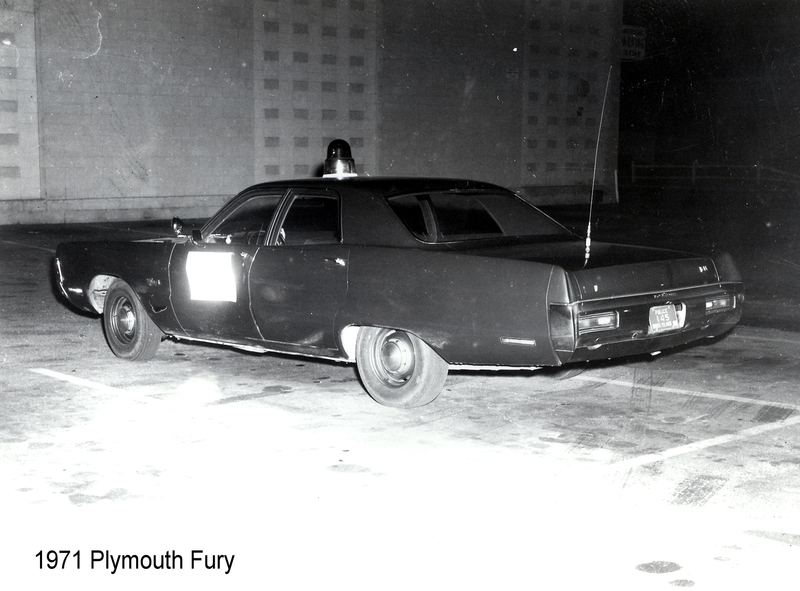 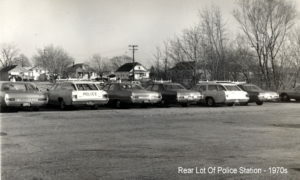 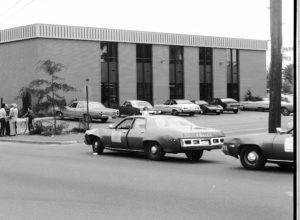 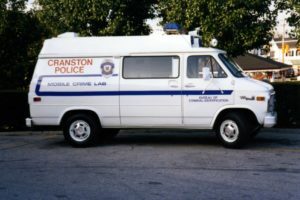 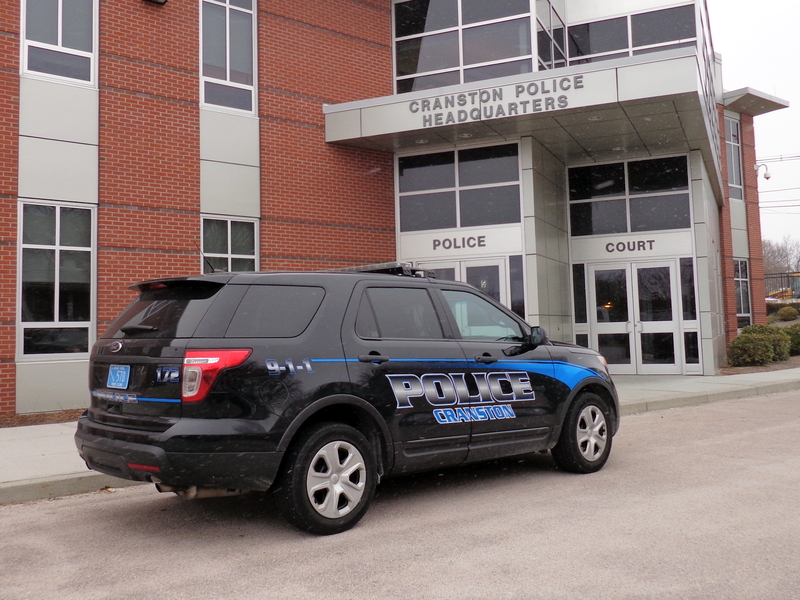 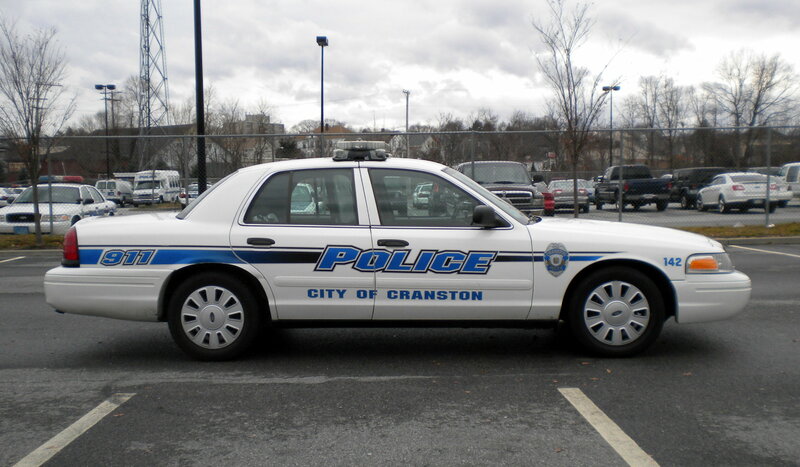 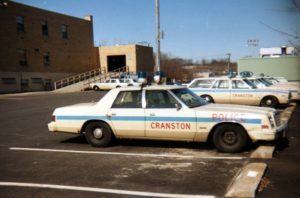 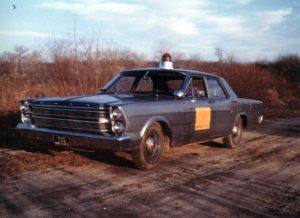 1973 Plymouth Cranston Police Car on Rt. 295 south at the canyon. 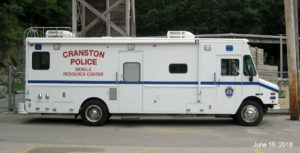 Rear of 275 Atwood Ave. 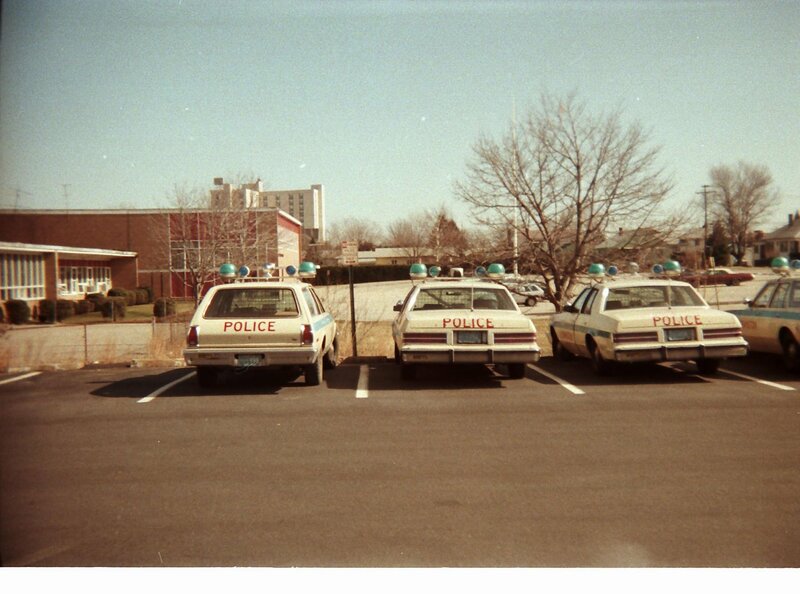 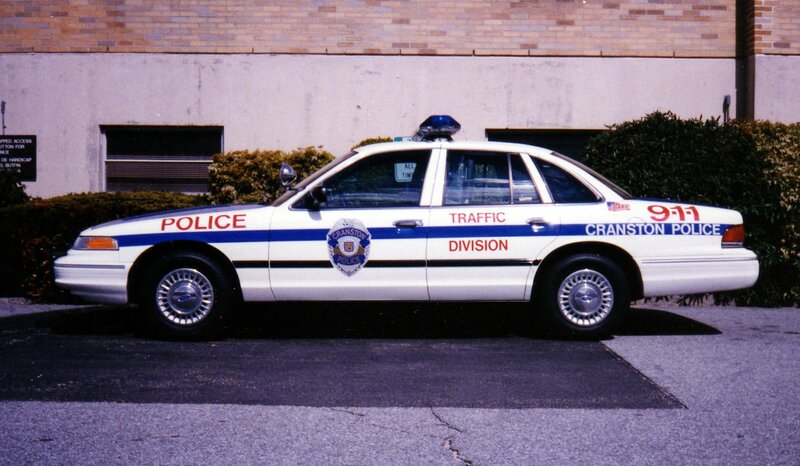 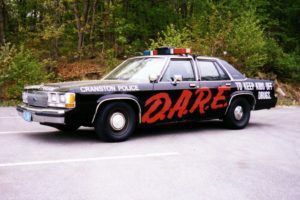 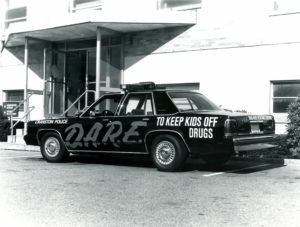 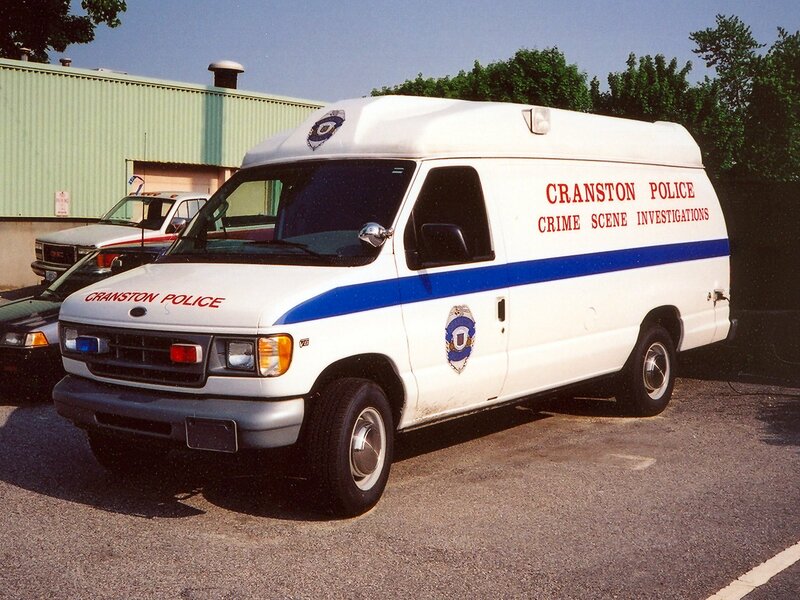 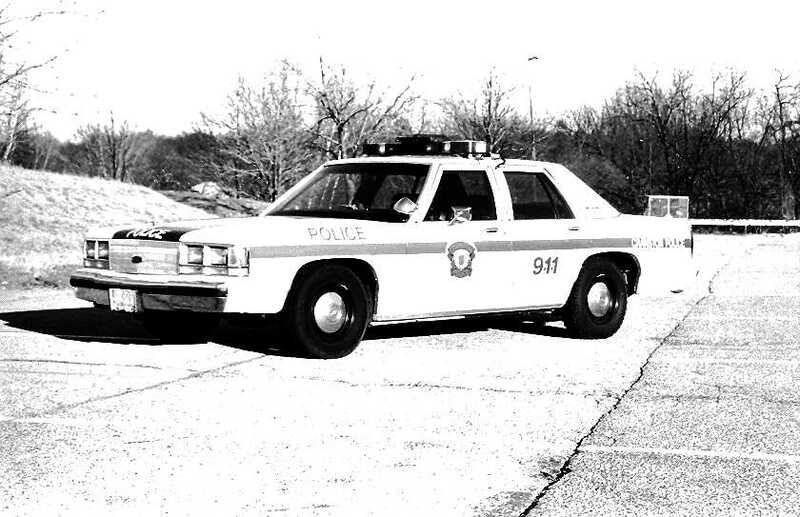 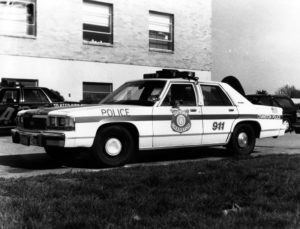 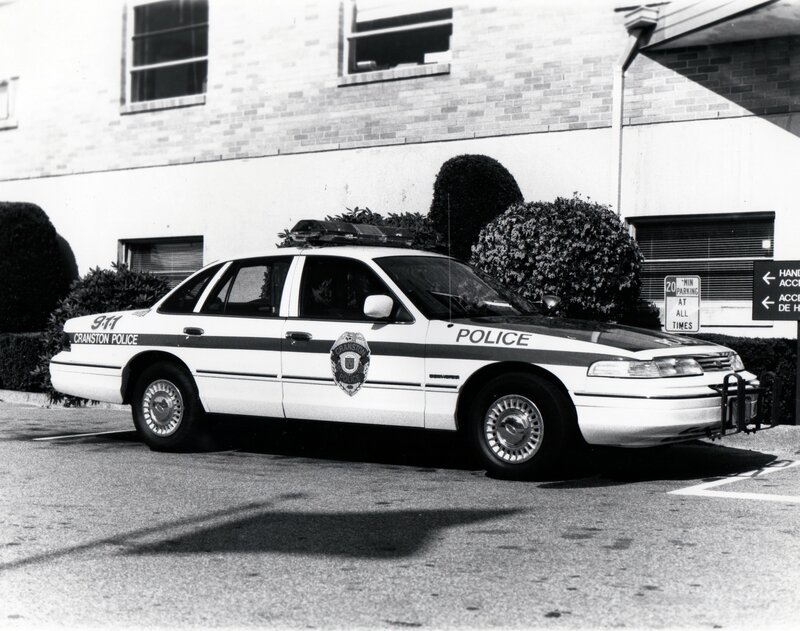 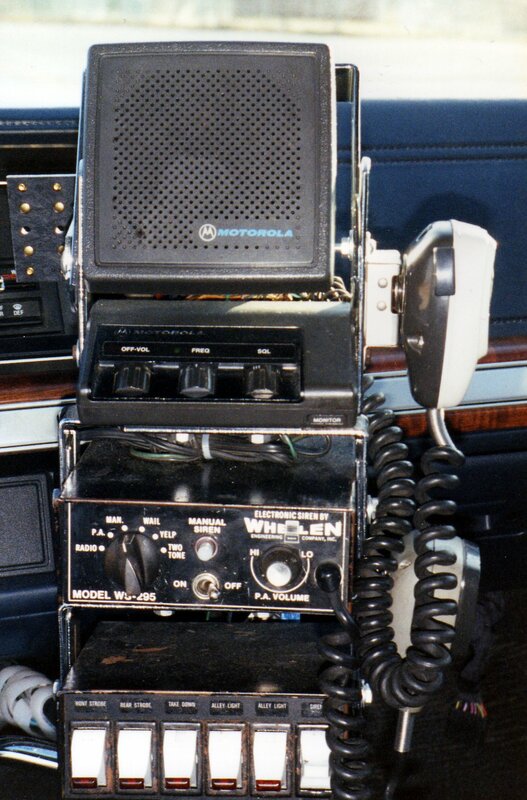 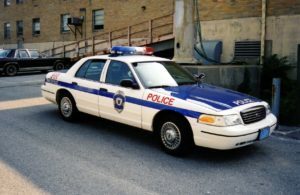 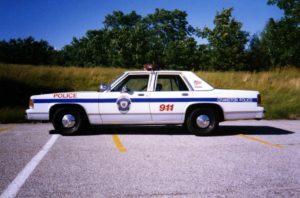 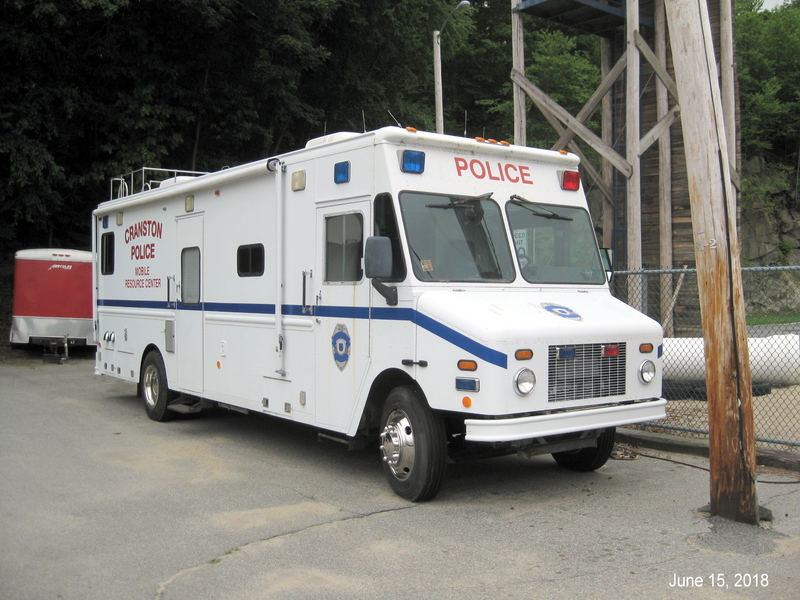 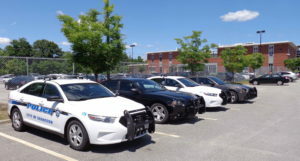 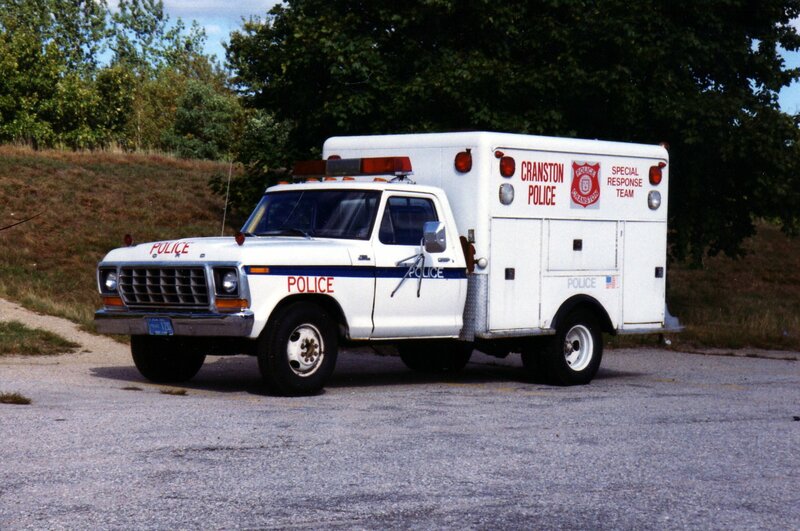 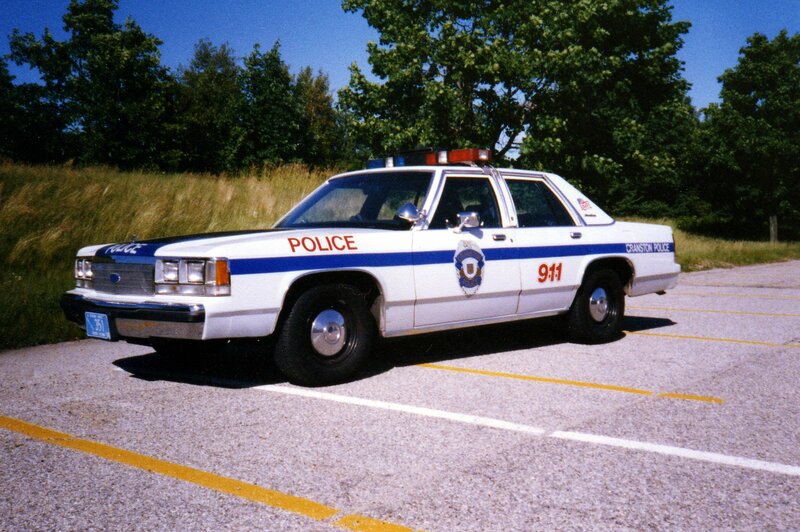 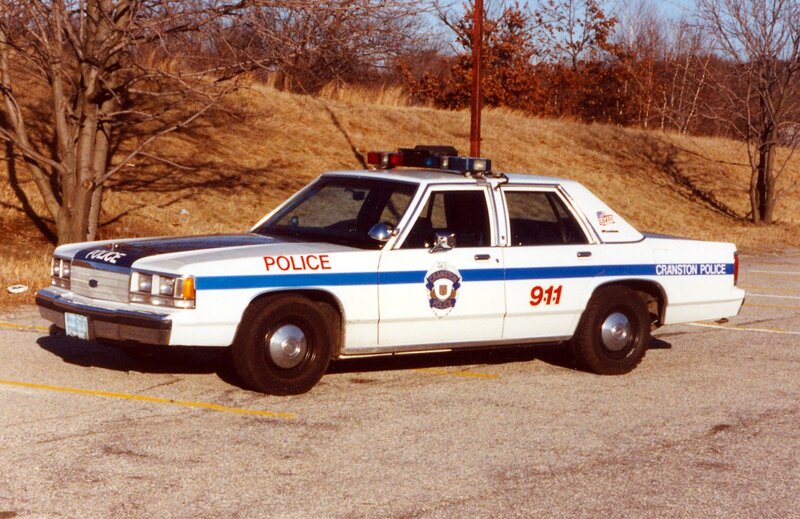 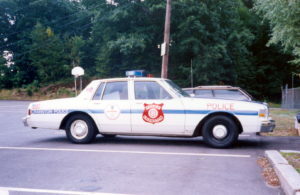 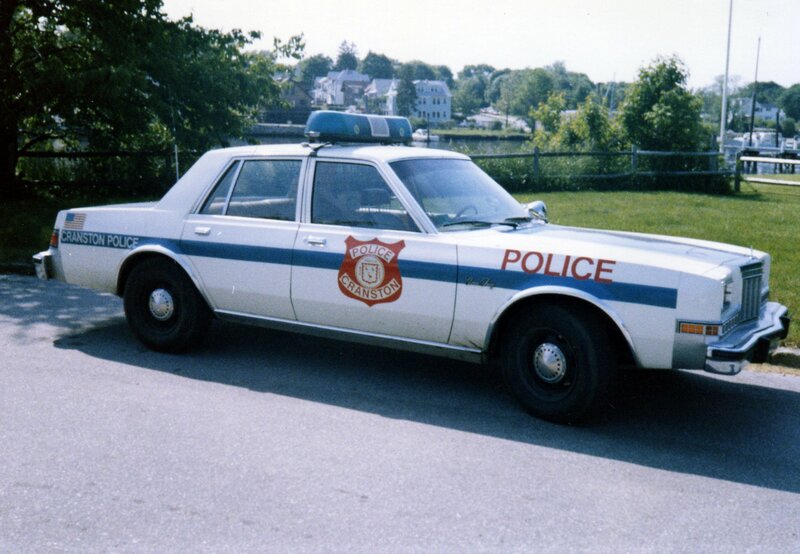 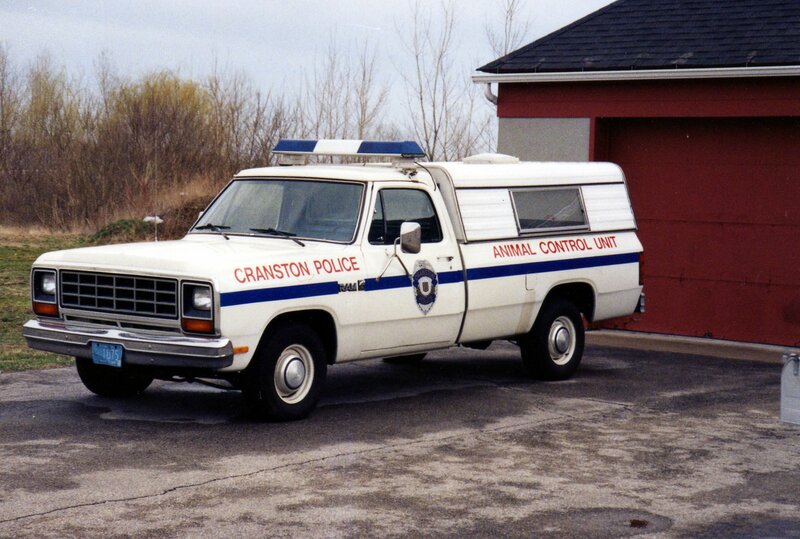 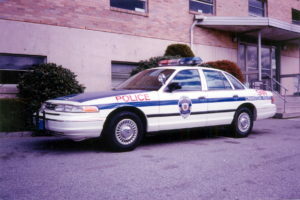 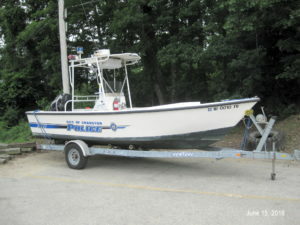 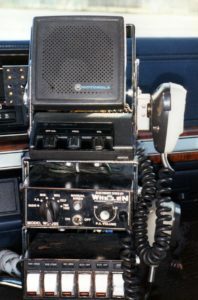 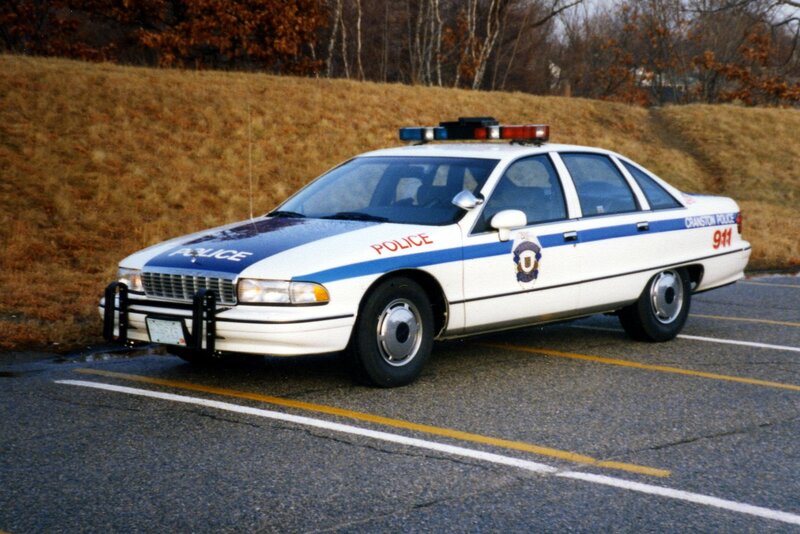 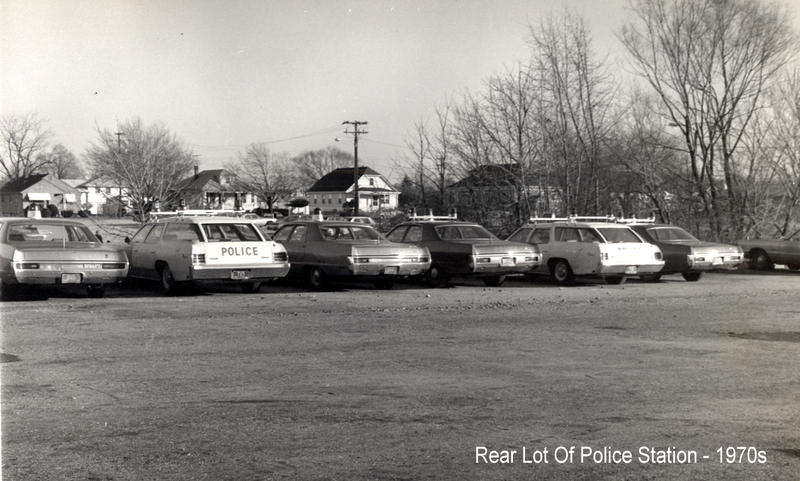 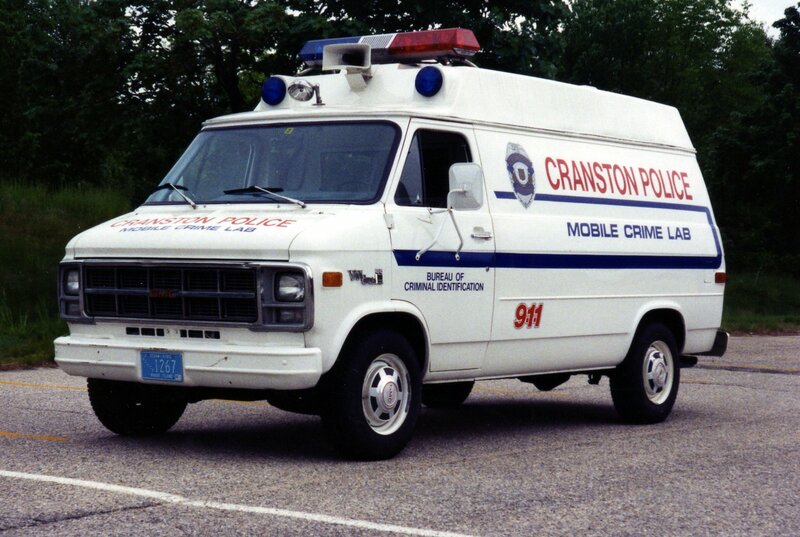 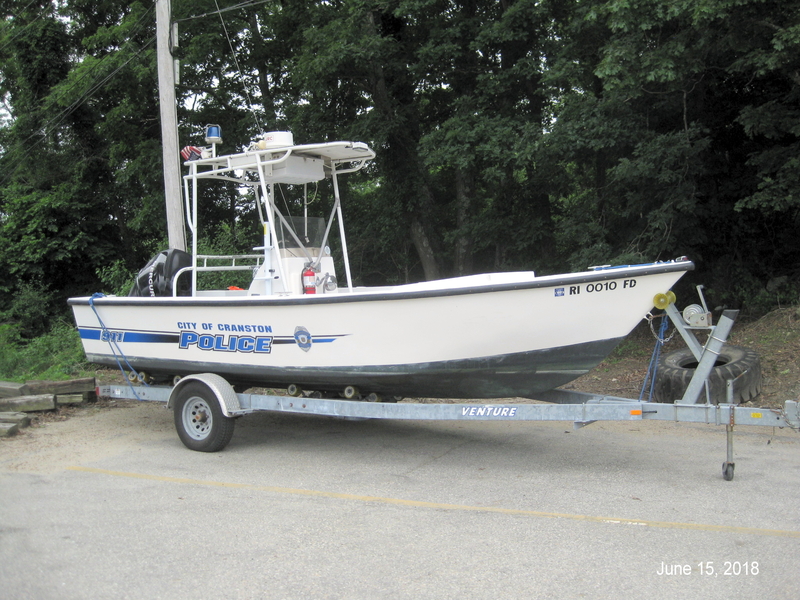 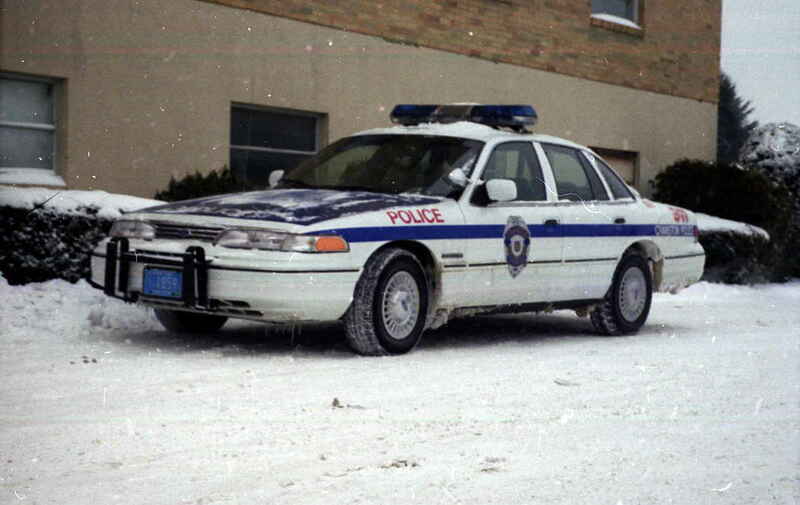 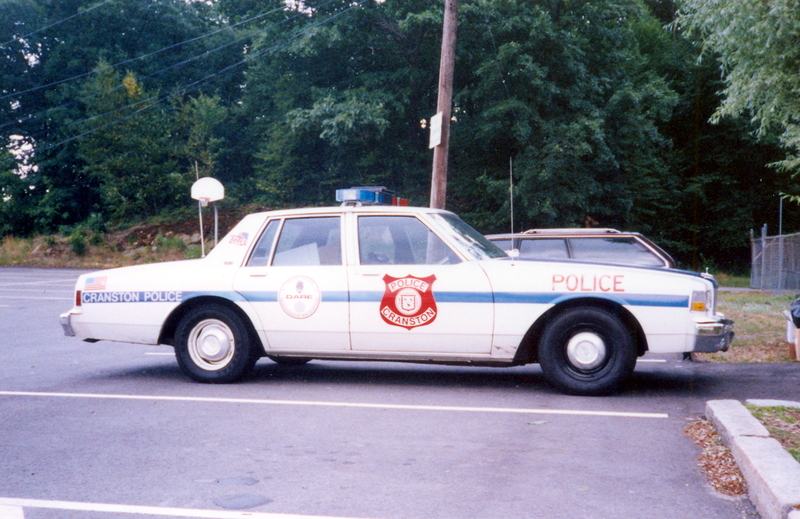 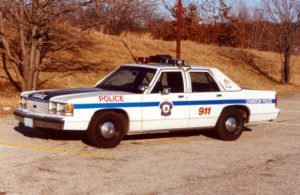 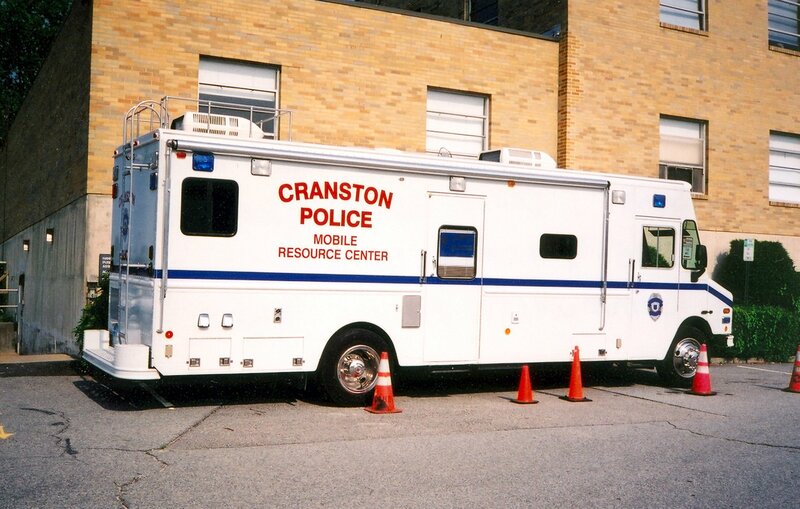 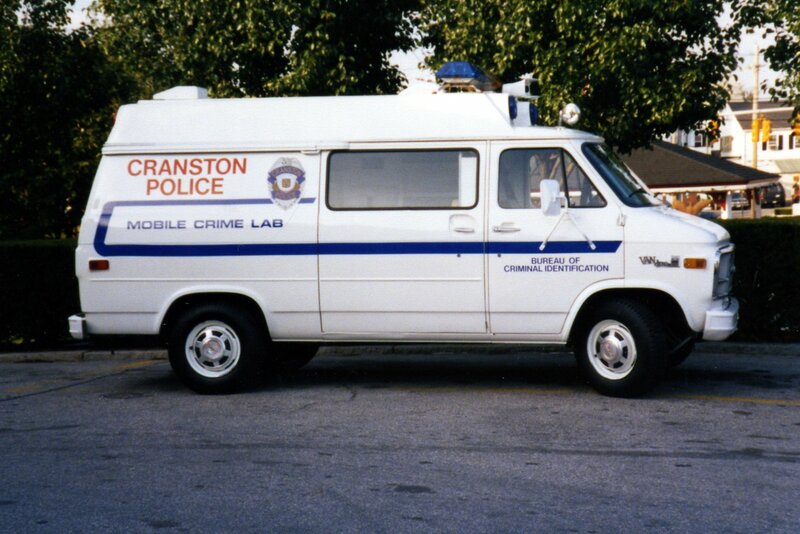 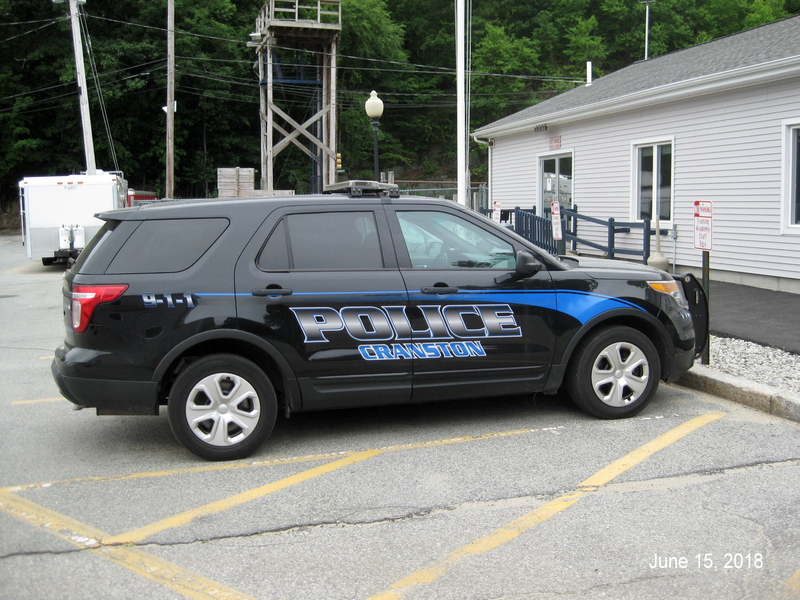 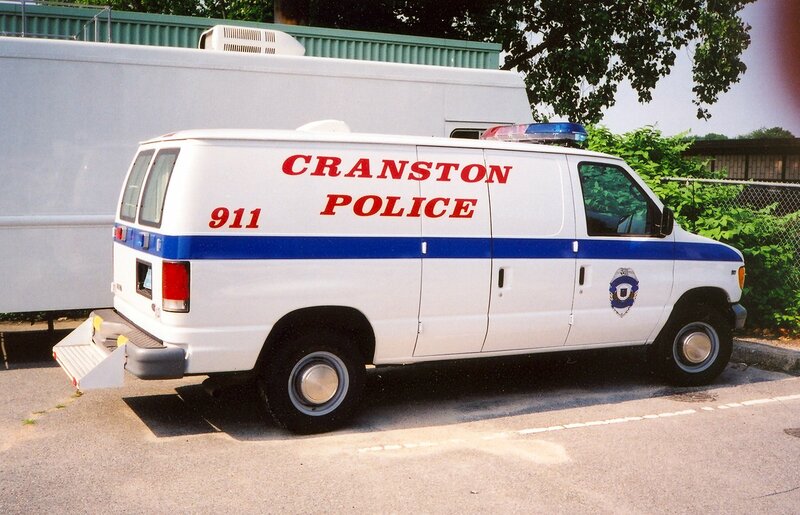 In 1986 the department went to a new red, white, and blue paint scheme for the cruisers. 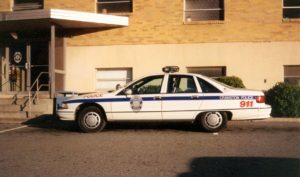 1992 Chevy Caprice in front of old police station at 275 Atwood Ave.
1993 Ford Crown Victoria in front of old station at 275 Atwood Ave. 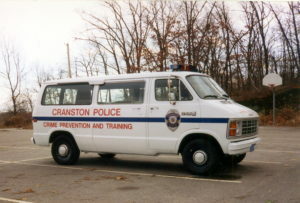 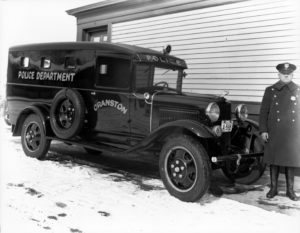 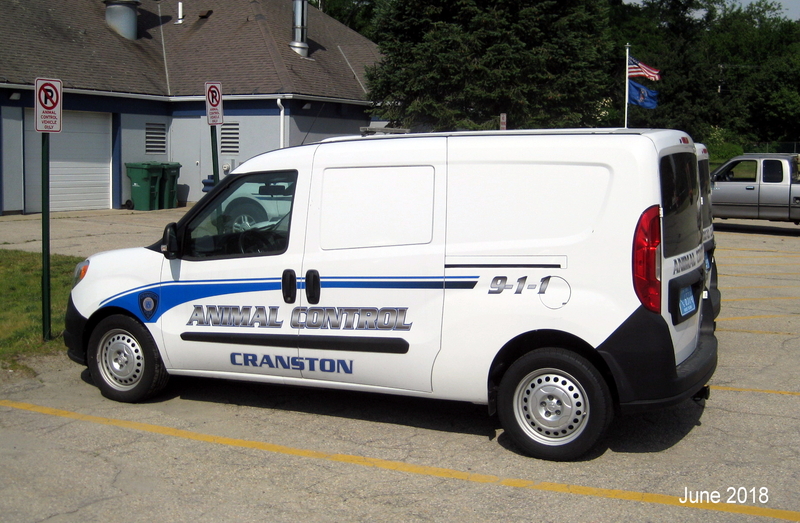 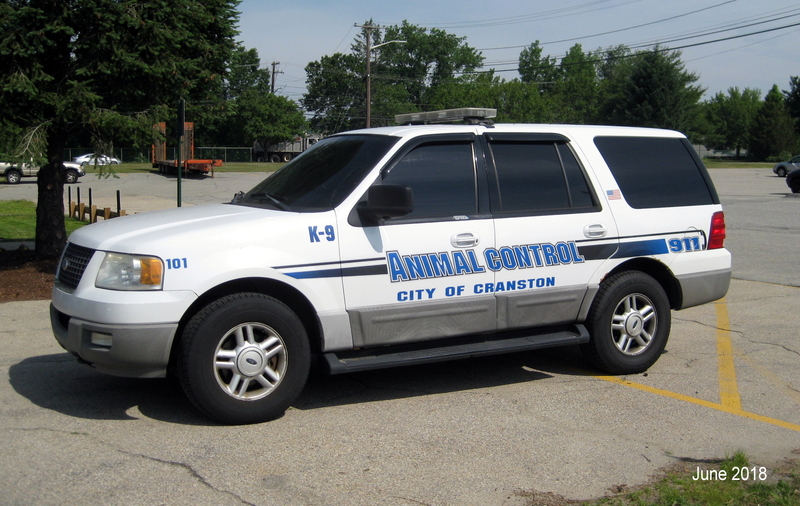 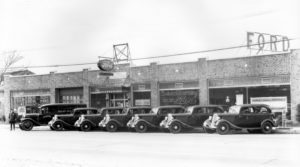 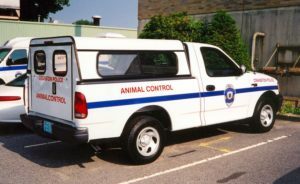 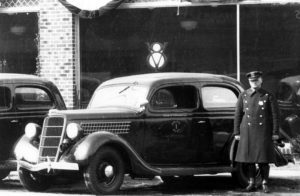 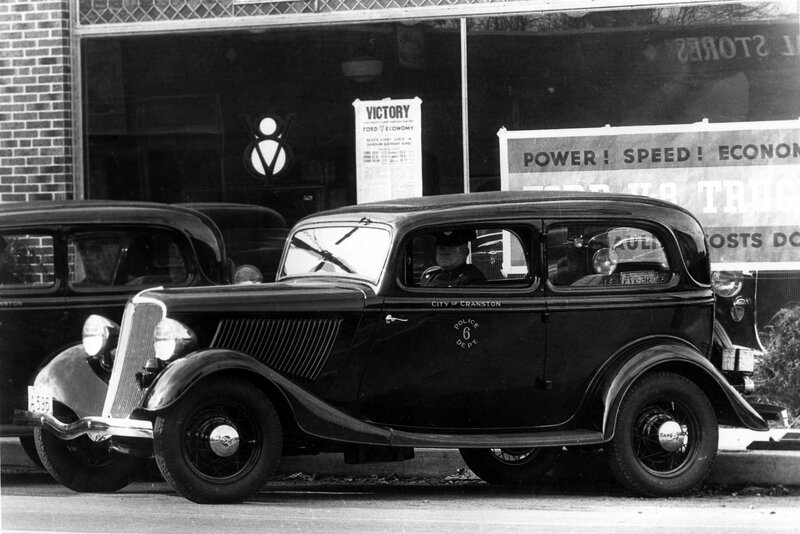 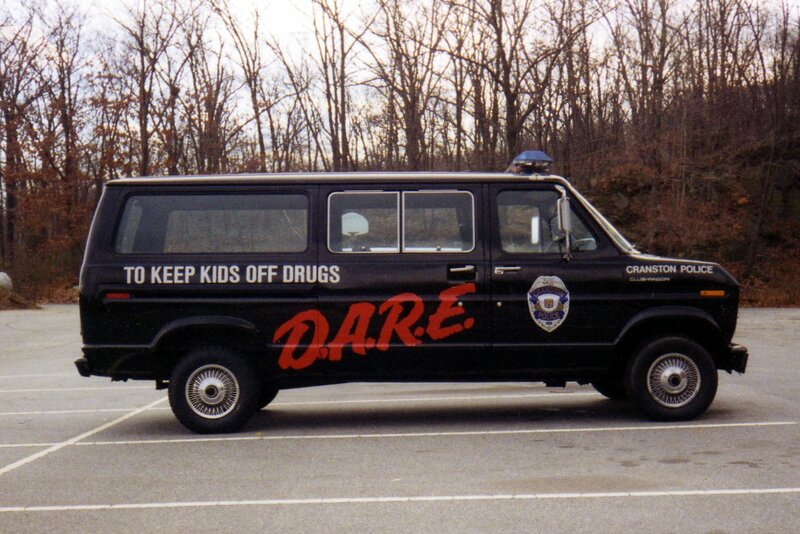 Dodge van used by the Training Division. 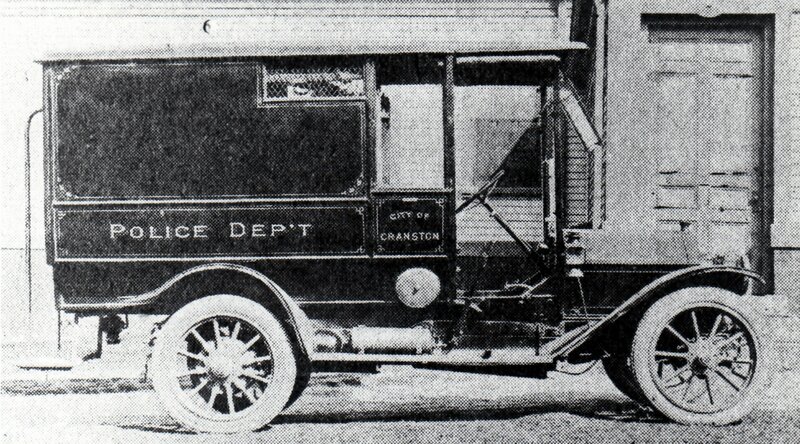 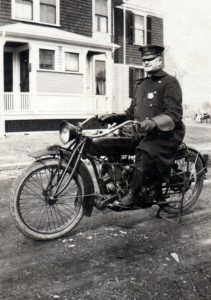 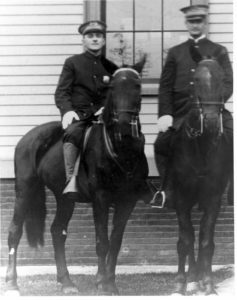 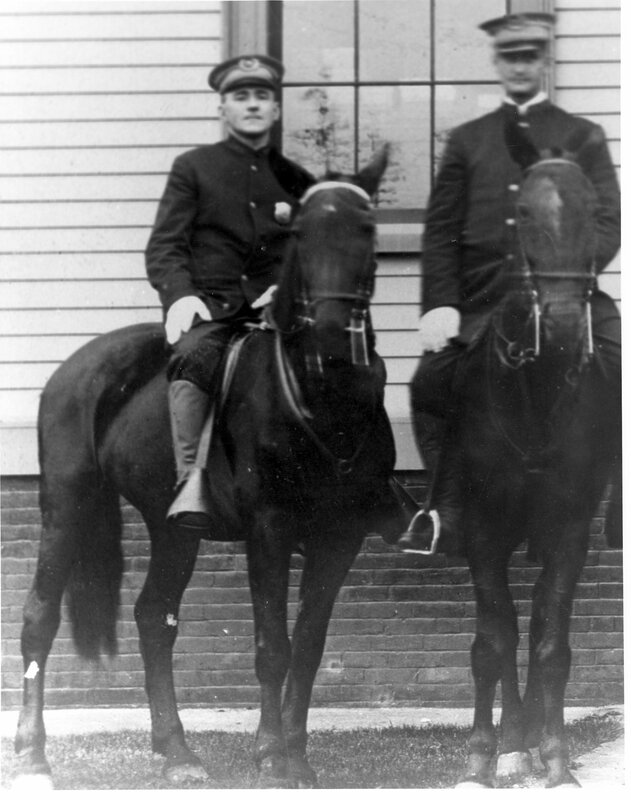 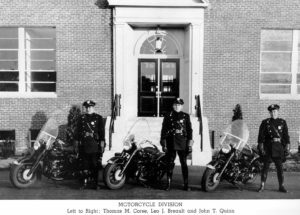 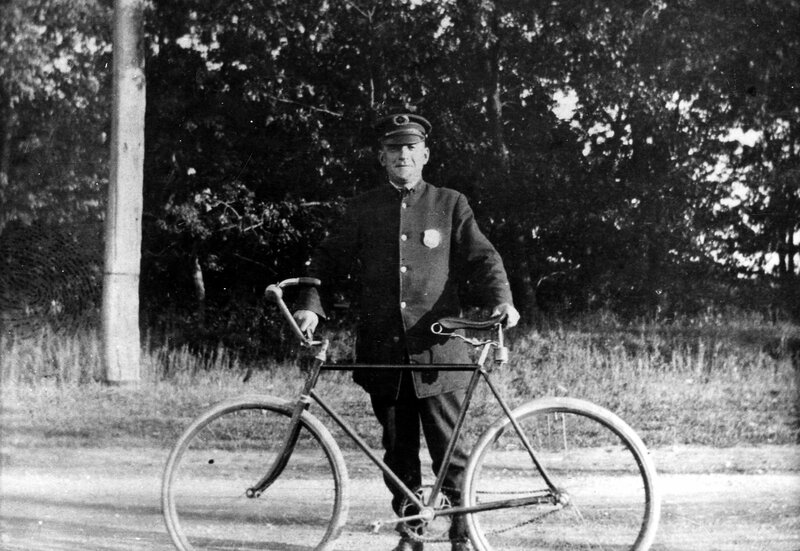 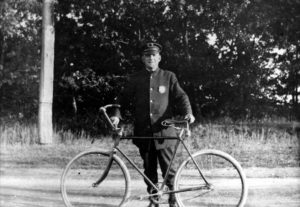 Cruiser 1859 in front of old police station. 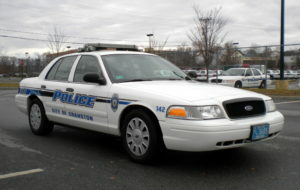 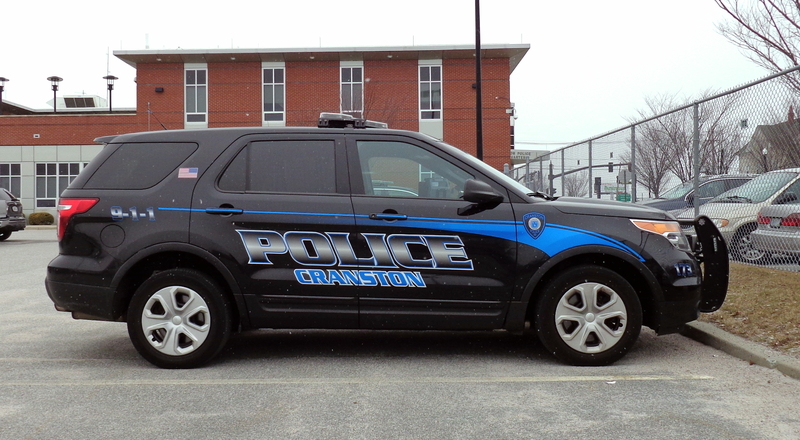 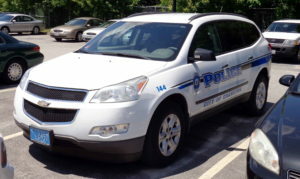 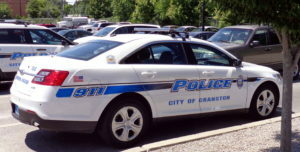 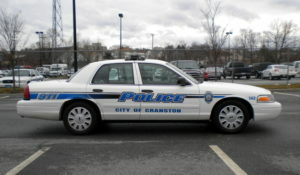 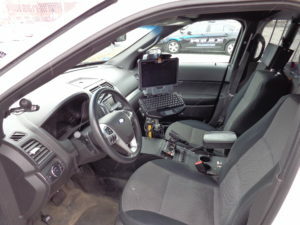 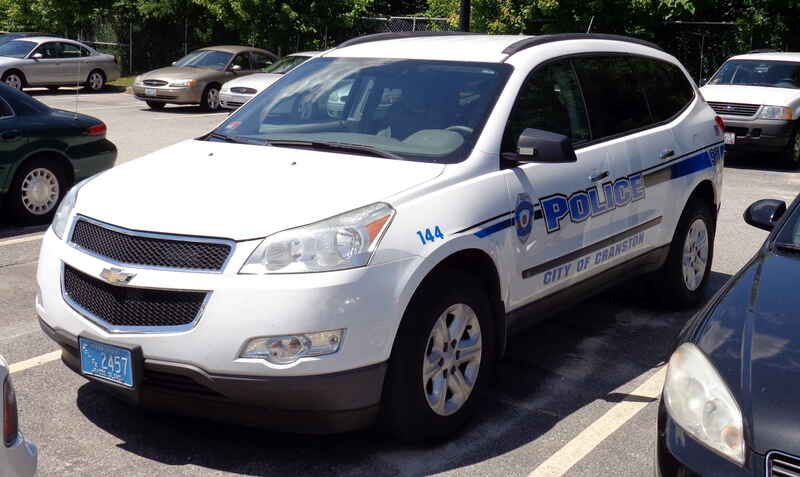 Patrol SUV with “ghost graphics”.